Hybrid Racing Thermal Throttle Body Gasket - Pann Auto Performance - San Diego largest aftermarket automotive performance parts - What do you drive? Reduce intake air temperatures with the help of our thermal throttle body gaskets. Made of a special insulating material, this gasket helps reduce heat transfer from the engine bay to intake air providing an increase in power. 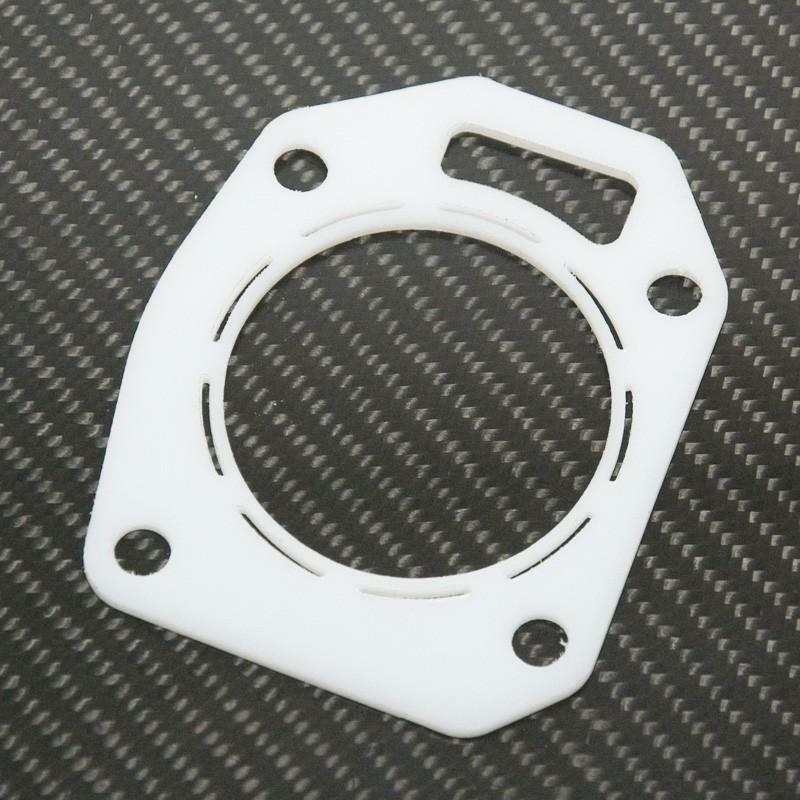 This gasket features the stock bore but has an easily removable section to bump the bore up to 70mm for throttle body upgrades making it easier for you.